Media Release - August 27, 2016: Attention musicians! The Carson City Symphony will begin rehearsals for the 2016-17 concert season on Wednesday, August 31, 2016, 7:00 to 9:15 p.m., at the Carson High School band room, 1111 N. Saliman Road in Carson City. The Symphony, conducted by David Bugli, is a volunteer orchestra of about 60 players who perform music from the 15th to 21st centuries. 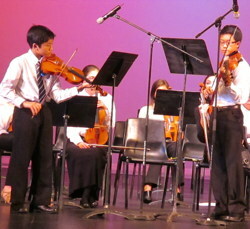 It is open to string players at any time without audition, and to other instrumentalists when positions are available. Current openings are for strings. Musicians who are interested in joining should contact the Symphony at 775-883-4154. The 2016-17 season includes six concerts, all featuring guest soloists or groups. The opening concert, with guest piano soloist Maria Fomina, will be on Sunday, October 16, at 4:00 p.m. at the Carson City Community Center, with a preview beginning at 3:15 p.m. Additional concerts will be on December 11, 2016, (Holiday Treat); February 26 and April 23, 2017, at the Carson City Community Center; a Sunday in June 2017 (Pops Party at the Governor's Mansion); and July 4, 2017, in Genoa. For more information, see the Symphony web site: CCSymphony.com. The Symphony's choral groups, Carson Chamber Singers and Carson City Symphony Chorus, begin rehearsals on September 6, at 6:30 p.m., at the Carson High choral room. Choristers who are interested in auditioning for the Carson Chamber Singers or joining the Carson City Symphony Chorus should contact Director Michael Langham at ccsingersdirector@gmail.com or call the Symphony at 775-883-4154. Media Release - Sept. 1, 2016: The Carson City Symphony Association is launching an instrumental music scholarship for Carson City students age 5 to 17. The annual scholarship was established by a generous gift from Jennifer and John Webley in memory of Rosemary Nebesky, former board member and friend of the Carson City Symphony Association. The award of $250 to $1,000 is to further the student's music education. It can be used, for example, for lessons, workshop, summer camp, master class, etc. Funds will be paid to the teacher or program, not to the individual applicant. Application form can by downloaded from the Symphony website (click here), CCSymphony.com, and may be available from school music teachers. Completed applications and supporting documents will be accepted by the Symphony at P.O. Box 2001, Carson City, NV 89702-2001, and must be received by Tuesday, November 1, 2016. The Carson City Symphony Association presents an elegant evening of music, conversation, appetizers, and no-host bar on Friday, October 14, at 7:00 p.m. at Genoa Lakes Resort, 1 Genoa Lakes Drive, off Jacks Valley Road in Genoa. The recital features award-winning classical pianist, Maria Fomina, playing light solo works. Originally from Moscow, Maria Fomina studied in Russia and in the U.S., and earned a Master of Music Degree in Piano Performance from the Manhattan School of Music. She has performed with orchestras since age eight. Winner of several international competitions, Fomina has performed solo recitals and with orchestras throughout the world. In addition to the October 14 recital, Fomina will be guest soloist with the Carson City Symphony on Sunday, October 16. She will be featured in performance of Beethoven's Piano Concerto No. 1. The concert is 4:00 p.m. at the Carson City Community Center. Tickets for the recital are $30 for general admission, $25 for Carson City Symphony Assoc. members, and $5 for youth age 18 and under. Tickets are available online at CCSymphony.com, at the Carson City Visitors Bureau (716 N. Carson St.), or by calling the Symphony at 775-883-4154 for reservations. This concert is funded in part by a grant from the Nevada Arts Council and the National Endowment for the Arts. For more information, call the Symphony at 775-883-4154 or see the website CCSymphony.com. "Poets, Priests, Puppets, & Piano"
The Carson City Symphony, directed by David Bugli, will open its 33rd season on Sunday, October 16, 2016, at 4:00 p.m., with a "Poets, Priests, Puppets, & Piano" concert at the Carson City Community Center's Bob Boldrick Theater, 851 E. William Street in Carson City. 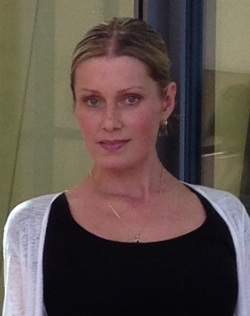 The concert features guest piano soloist Maria Fomina. Tickets are $15 general admission; $12 for seniors, students, and Symphony Association members; and free for youth age 18 and under. Tickets are on sale at the Carson City Visitors Bureau, online at CCSymphony.com, or at the door. Season tickets at discounted prices are available from the Symphony at 775-883-4154. The program includes "Poet and Peasant" Overture by Supp�, Suite from "Coppelia" by Delibes, "War March of the Priests" by Mendelssohn, and Piano Concerto No. 1 by Beethoven. Pre-show entertainment by the Symphony Flute Duo (Edith Isidoro Mills and Carol Grenier) in the lobby by begins at 3:00 p.m., a Meet-the-Soloist concert preview in the Sierra Room begins at 3:15 p.m., and a dinner reception follows the concert. The preview, hosted by Conductor David Bugli, will include discussions with Maria Fomina about the concert, composers, and music. The post-concert reception will be at Red's Old 395 Grill. For reception reservations, required in advance, call the Symphony at 775-883-4154. 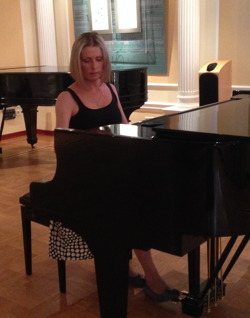 Originally from Moscow, Maria Fomina studied in Russia and in the U.S., and earned a Master of Music Degree in Piano Performance from the Manhattan School of Music. She has performed with orchestras since age eight. Winner of several international competitions, Fomina has performed solo recitals and with orchestras throughout the world. Ms. Fomina also will perform a solo piano recital on Friday, October 14, at 7:00 p.m. at Genoa Lakes Resort. The Sunday concert is part of World Music Days, an annual global event affirming the ideals of tolerance, friendship, and shared humanity, inspired by the life and work of journalist and musician Daniel Pearl. It also celebrates National Arts and Humanities Month, a coast-to-coast collective celebration of culture in America. 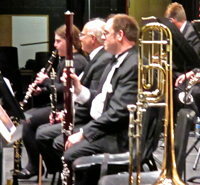 Carson City Symphony is a community orchestra of about 60 players who perform music from the 15th to the 21st centuries. The 2016-17 concert season is supported with public funding through the Nevada Arts Council and the National Endowment for the Arts. For information, see CCSymphony.com or call (775) 883-4154. We are sad to report the death of Symphony player Ben Gillard, who died Sunday night, Oct. 23, 2016. Details are not available at this time. Ben had been a member of the horn section since 2009 and had played in our most recent concert on Oct. 16. Despite several health problems, he was upbeat in dealing with them and made great efforts to make rehearsals, including the challenges of taking stairs to get to our rehearsals on the second floor of the Carson High School, even though he required the use of a walker to get around. 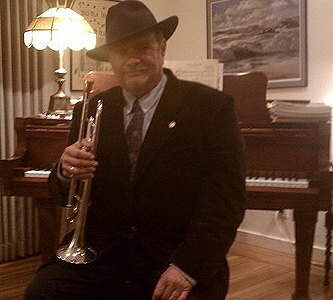 Ben was also active in the Carson Valley Pops Orchestra in the horn section and in their related group, RoseBud's Dance Band, on trumpet. He was also featured as a singer and narrator on a number of performances. 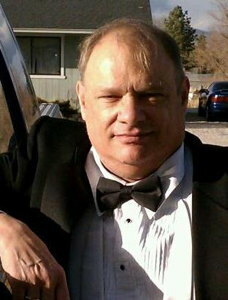 He was active on the Board of the Carson Valley Pops. He performed on the Carson Valley Pops' concert on the day before he died. His warm smile, dedication, and determination will be missed. Ben's memorial service will be on Sat., Nov. 5, at 10:00 a.m. at the Church of Jesus Christ of Latter-day Saints, 891 Mahogany Dr, Minden (south of Douglas High School and a bit west of the swimming pool building). Zephyrus Brass Quintet (ZBQ) performs at the Nevada State Museum on Nevada Day, Friday, Oct. 28, 2016, from 2:00 to 4:00 p.m. The Museum celebrated its 75th anniversary. It is also the dedication day for the newly revamped downtown Carson St.
ZZBQ is a group affiliated with the Carson City Symphony. In its current version, it was formed in 2011. The group has performed for elementary school assemblies, holiday shoppers, luncheons, fundraisers, wine walks, sporting events, and senior living facilities. The group plays music from an extensive library of more than 200 works ranging from Renaissance to contemporary popular music. Carson Chamber Singers, conducted by Michael Langham, will present its 2016 Fall Concerts on Friday, October 28, at 7:30 p.m. at St. Mary's in the Mountains, 111 S. E Street in Virginia City, and on Tuesday, November 1, at 7:30 p.m. at Shepherd of the Sierra, 3680 US Highway 395 South in Carson City. This fall the Singers will present a concert of Renaissance music, including works by Palestrina, Zingarelli, Purcell, and others. A highlight of the program is the Nevada premiere of Requiem for the Living, written by Dan Forrest in 2013 and performed internationally. The Requiem, accompanied by an instrumental ensemble, emphasizes consolation for the living rather than grief and judgment. It is tonal and accessible, and is noted for soaring melody and luminous harmony. Forrest has said that he took inspiration, in part, from images of space from the Hubble Telescope and images of Earth from the International Space Station. Tickets are $10 and are available online at CCSymphony.com; at the Carson City Visitors Bureau, 716 N. Carson St., Carson City; and at the door. Youth ages 18 and under attend for free. Carson Chamber Singers was founded in 1985 as the select choral group of the Carson City Symphony. They have performed throughout northern Nevada, the Tahoe area, and as far as Sacramento, CA. They have sung with the Carson City Symphony and the Reno Philharmonic Orchestra and Chorus. 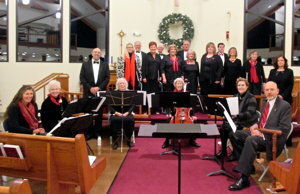 Carson Chamber Singers, a performing group of the Carson City Symphony Association, is supported in part by public funds through a grant from the Nevada Arts Council and the National Endowment for the Arts, and by private donations. What a beautiful concert last evening. You could just feel the walls and all of St. Mary's just happy with delight with the beautiful music that was happening. The Carson Chamber Singers, directed by Michael Langham, are such an accomplished and joy filled group of singers. Their rendition of Palestrini and Zingarelli were a delight, and "I've Been in the Storm so Long," an old spiritual rocked! They did all of these in the front of the Church. They all then went up into the choir loft and performed the "Requiem for the Living," which is so moving, by Dan Forrest. If you have not heard it, I do recommend that you do. For accompaniment for the Choir, they had the Organ, Violin, Cello, Harp, Flute, Oboe, and percussion; just what our "european style" choir loft was designed for. The entire Church was filled to the "tippy" top with music! A real treat! The Carson City Symphony Association presents the premiere formal recital of Quintessential Woodwind Quintet on Sunday, November 13, 2016, at 5:00 p.m. at the home of Curtis and Sonja Radig, 2662 Danielle Dr., Carson City. The recital features Carson City Symphony musicians Nancy Irwin, flute; Kelsey Edmondson, oboe; Jon Rabben, clarinet; Jen Sturm, horn; and Chris Bonelli, bassoon; in an elegant evening of music, conversation, appetizers, and wine. Tickets for the recital are $20 for general admission, $15 for Carson City Symphony Assoc. members, and $5 for age 18 and under. Tickets are available online at CCSymphony.com, at the Carson City Visitors Bureau (716 N. Carson St.), or by calling the Symphony at 775-883-4154 for reservations. 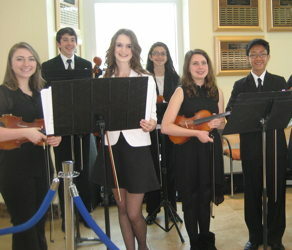 Quintessential formed in fall 2015, gave its first public performance as lobby music at the Symphony's February 2016 concert, and has since given several informal performances. For the November 13 recital, they will play music by W.A. Mozart, Franz Danzi, and Jacques Ibert, and arrangements by Jon Rabben and Chris Bonelli. This concert is funded in part by a grant from the Nevada Arts Council and the National Endowment for the Arts. For more information, call the Symphony at 775-883-4154 or see the website CCSymphony.com. Quintessential, the resident woodwind quintet of the Carson City Symphony, plays for the Grand Opening of The Change Place, 2814 N. Carson St., Carson City, on Tuesday, November 15, 2016, at 4:30 p.m. The event is free, and there will be a ribbon cutting at 5:30 p.m. (not 5:50 p.m., as earlier reported). For more information, call 775-283-0699. For a visual tour of The Change Place, click here. Pictured: A curious character that greets folks at The Change Place. Consort Canzona, a select group of instrumentalists and singers that specializes in early music, will present two "Lessons and Carols" concerts this Holiday Season: Friday, December 2, 2016, at 7:00 p.m., at Shepherd of the Sierra Lutheran Church, 3680 Highway 395 (just south of Best Buy, sotsl.org) in Carson City, and Saturday, December 3, 2016, at 5:00 p.m., at the Carson Valley United Methodist Church, 1375 Centerville Lane in Gardnerville, NV (www.carsonvalleyumc.com). Admission to both concerts is free, donations welcome. "Lessons and Carols," originally titled "The Festival of Nine Lessons and Carols," was first presented in 1880 by Edward Benson, later Archbishop of Canterbury, for a Christmas Eve service in Truro, Cornwall, where he was then Bishop. The Festival was created as a Christian worship service recounting the fall of humanity, the promise of the Messiah, and the birth of Jesus. Selections from the Bible and religious writers of the Medieval and Renaissance eras, depicting the nine lessons, were interspersed with musical selections or hymns by the congregation. 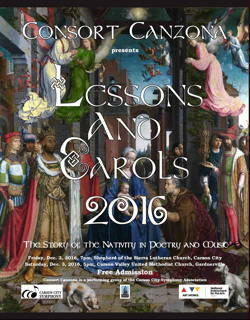 Consort Canzona's "Lessons and Carols" presents readings from the Bible and from poets, such as John Milton and Thomas Hardy. Familiar carols from the Piae Cantiones, a 17th Century collection of Latin and Swedish songs that were taught and sung in cathedral schools, alternate with the readings. To anchor the concert, Dietrich Buxtehude's Das Newgeborne Kindelein (The Newborn Little Child) will be sung before Lesson 7, The Annunciation to the Shepherds. 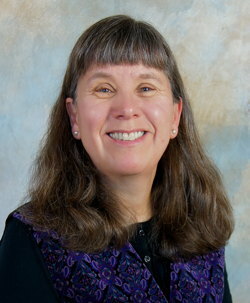 Carson City musician Sharon Kientz formed Consort Canzona in 2009 for recorders, cello, and harpsichord. Singers were added in 2011. The group is directed by Gary Schwartz. Consort Canzona, a performing group of the Carson City Symphony Association, is supported in part by a grant from the Nevada Arts Council, a state agency, and the National Endowment for the Arts, a federal agency, and by Association memberships and donations. For more information, see CCSymphony.com or call the Symphony at 775-883-4154. Seventh Annual "This is Not a Christmas Concert"
Strings in the Schools, Carson City Symphony's after-school program, presents its 7th annual "This is Not a Christmas Concert" on Tuesday, December 6, 2016, at 6:30 p.m. at the Carson City Community Center, 851 E. William St., Carson City. Nearly 100 string players, including Carson City public-, private-, and home-schooled students, and students from surrounding areas, will perform several pieces, from classics to folk and fiddle tunes, including Classical music by Mozart and Handel, a Mexican lullaby "Arroró mi Niño," and more. Admission is free. 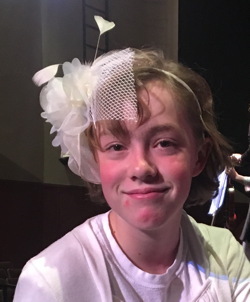 The concert, directed by Carson City Symphony's Education Director, Sue Jesch, and Associate Concertmaster, Laura Gibson, features beginning violins in grades two to five; a youth string ensemble; Pizzazz intermediate ensemble; and STRAZZ, advanced jazz and fiddle orchestra. "These young musicians play to enthusiastic crowds," said David Bugli, Music Director of the Carson City Symphony. "You will be entertained and impressed with how well they play such a great variety of musical styles." 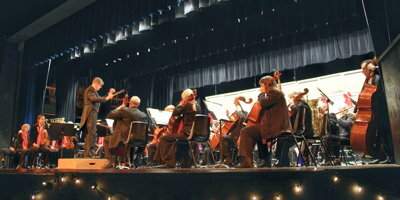 Strings in the Schools, an educational program of the Carson City Symphony Association, was founded in 2005. It is supported in part by grants from the Nevada Arts Council and the National Endowment for the Arts; Partnership Carson City; The Terry Lee Wells Foundation; Soroptimist International of Carson City, and private donations. For more information, call director Sue Jesch at 775-450-5584. Attached photo: Brothers Fox and Ojo Ventura play a violin duet at Carson City Symphony's Strings in the Schools concert last year. 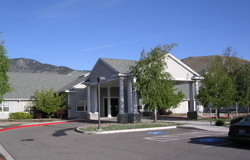 The Not Quite Ready for Carnegie Hall Players, an adult group of beginner and "returning" string players sponsored by the Carson City Symphony Assoc., will present a performance at the Mountain View Health and Rehabilitation Center, 201 Koontz Lane, Carson City, on Thursday, Dec. 8, 2016, at 10:00 a.m. The event is conducted by Laura Gibson, Associate Concertmaster of the Carson City Symphony. This is part of the Association's outreach activities. It is a private event that is not open to the public. The Carson City Symphony, Carson City Symphony Chorus, Carson High Chamber Choir, and the Victorian Dancers present a Holiday Treat for all - seasonal and holiday music in many styles! It's the 33rd Annual Holiday Treat concert on Sunday, December 11, 4:00 p.m., at the Bob Boldrick Theater in the Carson City Community Center, 851 E. William Street. The Carson City Symphony, conducted by Music Director/Conductor David Bugli, will perform several works, including Christmas at the Movies, Reindeer Rag Time Two-Step, and Hanukkah Songs. The Carson City Symphony Chorus, directed by Michael Langham, and Carson High Chamber Choir, directed by Andy Sonnemaker, will perform separately and join with the Symphony for John Rutter's Gloria. The Victorian Dancers will whirl and swirl to the music of Johann Strauss, and performers and audience will join together for the traditional Holiday Treat finale, A Christmas Singalong. Pre-concert entertainment by Consort Canzona early music instrumental ensemble begins at 3:00 p.m. in the lobby and art exhibit by Capital City Arts Initiative is on display in the Sierra Room. Treat your whole family: tickets are $15 general admission; $12 for seniors, students, and Symphony Association members; and free for children age 18 and under. Tickets are available in advance at Carson City Visitors Bureau, 716 N. Carson Street; online at CCSymphony.com; by mail; and at the door. This concert is supported, in part, by public funds through a grant from the Nevada Arts Council, a state agency, and the National Endowment for the Arts, a federal agency, and by private donations. The Carson Chamber Singers will perform on Tuesday, Dec. 20, 2016, at 5:00 p.m. at the Ormsby Post Acute Rehab at 3050 North Ormsby Blvd., Carson City. Dec. 20, 2016: We truly appreciate the work that our Education Director, Sue Jesch, has done with hundreds of students in our Strings in the Schools Program. Sue is currently dealing with serious medical problems and the medical bills are piling up. Many of you have asked how you can help. We have set up a GoFundMe account to help Sue, and we recently upped our goal to $15,000. If you can help us in this effort, it would be greatly appreciated. Go to http://www.nevadaappeal.com/news/local/carson-city-rallies-to-support-sue-jesch to read the Dec. 21, 2016, Nevada Appeal article about Sue's situation. String players of all ages and levels are invited to join the ninth annual Christmas Carol Playalong on Thursday, Dec. 22, 2016, from 4:00 to 5:00 p.m., inside the Carson Mall, 1227 S. Carson Street. The event is free and open to the public. This event is hosted by Carson City Symphony Association and Carson Mall. Violin, viola, cello, bass, and harp players are welcome to come and play. Everyone else, come and sing or listen. To play, contact Sue Jesch in advance at 775-450-5584 or sue@tahoefiddler.com for sheet music and information. 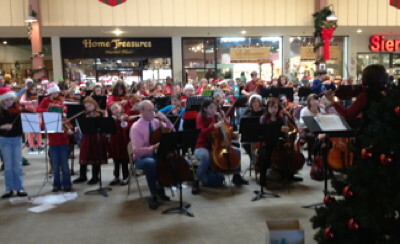 STRAZZ, the advanced string group from Carson City Symphony's Strings in the Schools program, will be performing for shoppers at Trader Joe's on Topsy Lane on Friday, Dec. 23, 2016, at 4:00 p.m. Enjoy some great music while doing some last minute shopping. Pictured here are members of STRAZZ when they performed for the Nevada Sesquicentennial Cake event at Carson-Tahoe Hospital back in 2014. Ethan Lopes (second from left) and Kacey Lopes (fourth from left) are among the members of STRAZZ that will be performing on Dec. 23. Zephyrus Brass Quintet will perform at the Brewery Arts Center Ballroom, 449 W King Street, Carson City, on Saturday, January 7, 2017, from 2:00 to 4:00 p.m. The live music is part of the Carson City Downtown Business Association Wine Walk, to be held that day from 1:00 to 5:00 p.m. The Carson City Arts and Culture Coalition will be pouring wine in the ballroom, one of about 30 stops along the Wine Walk route. Wine glasses for participation are available for $15 at the Brewery Arts Center and other locations. Bring your wine glass that shows the official wine walk logo and pay only $12. The music is free. 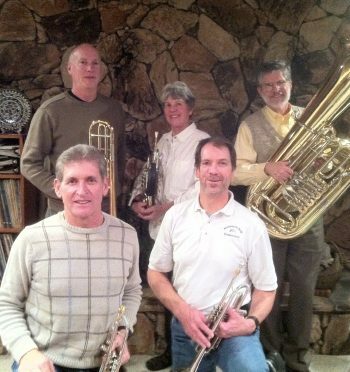 Formed in 2011 as an affiliate the Carson City Symphony Association, Zephyrus musicians are Bob Masters and Alan Catron, trumpet; Lin Nelson, horn; Paul Jorgensen, trombone; and David Bugli, tuba. The group plays music from an extensive library of more than 200 works ranging from Renaissance to contemporary popular music. They have performed for school assemblies, holiday programs, luncheons, fundraisers, wine walks, sports events, senior living facilities, and at the Dangberg Home Ranch Historic Park and the Nevada State Museum. The ensemble's name is derived from Zephyrus (or Zephyr), the Greek name for the god of the west wind. For more information about Zephyrus, call the Symphony at 775-883-4154 or see CCSymphony.com. For information about Wine Walks, held the first Saturday of every month, see www.downtowncarson.org/events-2. Media Release - January 14, 2017: Carlos Montejana and Alyssa Butler were awarded the first annual Rosemary Nebesky Memorial Scholarships by the Carson City Symphony Association last month. This scholarship was established by John and Jennifer Webley of Santa Rosa, Calif., in memory Rosemary Nebesky, who loved music, loved children, and had been a friend and board member of the Carson City Symphony Association. 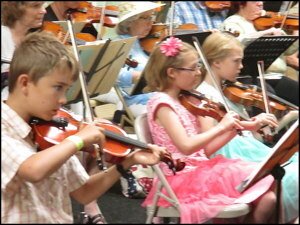 It is awarded each year to one or two Carson City students age 5 to 17 for instrumental music lessons. Carlos Montejana, 16, is a junior at Carson High School. 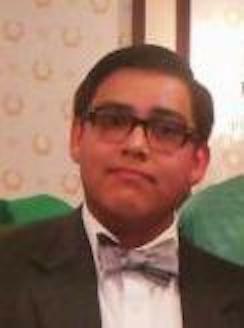 He sings in the Carson High School Chamber Choir, loves classical music, and composes and arranges music for orchestra, band, and choir. His music composition "Skyworld," took first place in the state in the Parent-Teacher Student Association Reflections Art Contest last year, and he was recognized in that contest with a special award for overall Outstanding Interpretation of Theme. The Nebesky scholarship will fund piano lessons with Nancy Mielke, a retired music specialist in the Carson City School District. Alyssa Butler, 10, is in fifth grade at St. Teresa of Avila School in Carson City. She has studied violin for four years and wants to learn to play cello. Her mother, Colleen Butler, said "Alyssa has always been mesmerized by the cello and has counted down the days until she was old enough or big enough to graduate from the violin to the cello." The Nebesky scholarship will fund cello lessons with Lou Groffman, principal cellist of the Carson City Symphony. Honorable mention certificates were awarded to Ashlyn Parnham, 13, an 8th grader at Eagle Valley Middle school, who plays clarinet; Kacey Lopes, 17, a senior at Carson High School, who plays violin and drums; and Sierra Kramer,16, a homeschooled student who plays violin. 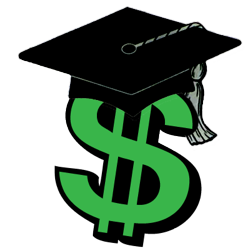 The next round of scholarships will be awarded in fall of 2017. For more information about the scholarship and the application process, contact the Symphony at 775-883-4154. A similar announcement appeared in CarsonNow.org. Click here to read the article. Multi-instrumentalist Todd Green held a workshop for advanced string students on Saturday, Jan. 28, 2017, at Empire Elementary School. He demonstrated more than 30 string, flute, and percussion instruments from around the world, gave students an opportunity to play the instruments, and performed an original work with them. This Artist-in-Residence Workshop was funded in part by a grant from the Nevada Arts Council. The Carson City Symphony presents a concert on Sunday, Feb. 26, 2017, at 4:00 p.m. at the Carson City Community Center featuring baritone saxophonist-composer Brian Landrus performing his "Jeru Concerto," a concerto for baritone saxophone and orchestra. He will also perform his short work, "Arrow in the Night," for baritone saxophone and orchestra. Also on the program is Mendelssohn's Symphony No. 5 ("Reformation"), Alfred Reed's "A Festival Prelude," and Bizet's "Carmen Suite No. 1." Born in 1978 and raised in Nevada, Brian Landrus, began playing saxophone at 12 and was performing professionally by 15. 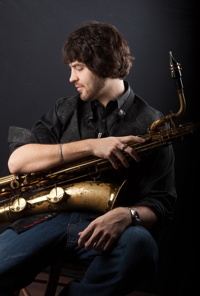 He earned his bachelor's degree in saxophone performance at the University of Nevada-Reno and two master's degrees at New England Conservatory, one in jazz composition and the other in jazz saxophone. Currently, he is a Ph.D. candidate in classical composition at Rutgers. Based in Brooklyn, Landrus founded his own label, BlueLand Records, in 2011. His first releases of all original music via BlueLand were Traverse (a quartet date with Plaxico, Hart and pianist Michael Cain) and Capsule (by the Brian Landrus Kaleidoscope, with Cain, guitarist Nir Felder, bassist Matthew Paris, drummer Rudy Royston). In 2013, Landrus released a second Kaleidoscope album, Mirage, featuring himself on baritone sax, bass sax, bass clarinet, contra alto clarinet and bass flute alongside Felder, Royston, Plaxico on acoustic and electric bass, Frank Carlberg on Rhodes/piano and a string quartet led by violinist Mark Feldman, with Ryan Truesdell conducting/co-producing. The New York Times praised Landrus and Mirage at length, pointing out that "the tenderness in his playing feels as warm and accessible as his writing." Along with touring the world in superstar Esperanza Spalding's band (on baritone/tenor saxophones and bass clarinet) and playing in Truesdell's prize-winning Gil Evans Project, Landrus has played with some of the world's great musicians: Bob Brookmeyer, Jerry Bergonzi, Rufus Reid, Danilo Perez, Frank Kimbrough, Gary Smulyan, Ronnie Cuber, Maria Schneider, The Temptations, The Four Tops, Martha Reeves, The Coasters, The Drifters, George Garzone, Jason Palmer, Bob Moses, Louis Nash, Peter Epstein, Nicholas Urie, Darryl Harper, David Ake, Allan Chase, Francis Vanek, John Lockwood, Ayn Inserto, Alan Ferber, Scott Robinson and Ralph Alessi, among others. 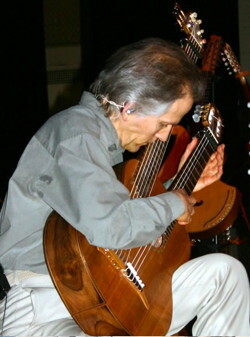 Landrus teaches at Rutgers University, The 92Y School of Music in New York City, and The Lagond Music School in Westchester, New York. Brian won the baritone saxophone rising star award in the Downbeat Magazine 2015 competition. A 20-25 minute preview will begin at 3:15 p.m. in the Sierra Room. Conductor David Bugli will discuss the program with composer and guest baritone saxophone soloist Brian Landrus. They will discuss Mr. Landrus' early years and influences in the Reno area, the use of saxophone in orchestra, jazz elements in classical music, difference in styles between jazz and classical music, and other topics related to the program. Also, since the concert is on the 100th anniversary of the first audio recording of a jazz work, a little bit of history about the significance of recording on the development of jazz will be discussed. These previews typically end with questions from the audience. The preview is funded in part by Nevada Humanities, Nevada's nonprofit state affiliate of the National Endowment for the Humanities. Members of STRAZZ and Pizzazz, both parts of the Symphony's Strings in the Schools program, will provide lobby entertainment starting at 3:00 p.m.
Tickets are $15 general admission; $12 for seniors, students, and Symphony Association members; and free for children age 18 and under. Tickets are available in advance at Carson City Visitors Bureau, 716 N. Carson Street; online at CCSymphony.com; by mail; and at the door. This concert is supported, in part, by public funds through a grant from the Nevada Arts Council, a state agency, and the National Endowment for the Arts, a federal agency, the Nevada Humanities Council, the National Endowment for the Humanities, and by private donations. Update 3/2/17: The two concerts scheduled for March 7 and 10 had to be postponed due to illness. We anticipate that they will be rescheduled later this spring. Carson Chamber Singers, conducted by Michael Langham, will present "Mostly Mozart" Concerts on Tuesday, March 7, 2017 at 7:30 p.m. at Shepherd of the Sierra, 3680 US Highway 395 South in Carson City and on Friday, March 10, 7:30 p.m. at St. Mary's in the Mountains, 111 S. E Street in Virginia City. The program features music by W.A. Mozart, including Gloria from the Twelfth Mass, Laudate Dominium, Regina Coeli, Missa Brevis, and Ave Verum Corpus. Featured soloists are sopranos Renae Oliver, Natalie Presta, and Jana Whitson; altos Elizabeth Tetz, Sheri Rassmussen, and Jenice Provost; tenor Adam Boles; and basses Glenn Ware and Jonathan Rabben. Admission is $10, free for youth age 18 and under. Tickets are available online at CCSymphony.com; at the Carson City Visitors Bureau, 716 N. Carson St., Carson City; and at the door. 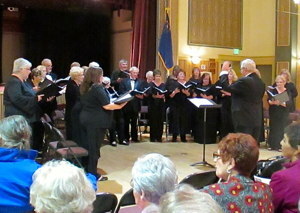 A performing group of the Carson City Symphony Association, Carson Chamber Singers is supported in part by public funds through a grant from the Nevada Arts Council and the National Endowment for the Arts, and by private donations. For more information, call the Symphony Association at 775-883-4154 or see CCSymphony.com. Carson City Symphony's Strings in the Schools ensembles, conducted by Laura Gibson and guest conductor Dr. Brian Fox, will present a "Spring Fling" concert on Thursday, April 20, 2017, 6:30 p.m., at the Carson City Community Center, 851 E. William Street. The concert will include fiddle, folk, and classical music. 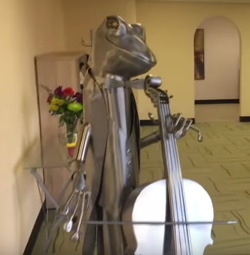 Highlights are music from Star Wars, Steven Rosenhaus' Cinematic Escapades, and STRAZZ Variations by Strings in the Schools violist Nick Rosen. Admission is free. The concert will feature performances by students from grade 2 through high school, including beginning violins and cellos, the intermediate String Ensemble, Pizzazz, and STRAZZ. The program includes familiar works and some surprises. David Bugli, conductor of the Carson City Symphony, said, "These students are an inspiration to the community. Strings in the Schools, now in its 12th year, is Carson City Symphony Association's tuition-free, after-school program for young string players, founded by Education Director Sue Jesch. About 100 students currently participate. The program is supported, in part, by public funds through grants from the Nevada Arts Council, Partnership Carson City, Terry Lee Wells Foundation, Soroptimist International of Carson City, and by private donations. For more information, see CCSymphony.com or call Sue Jesch at 775-450-5584. Photo above: Strings in the Schools students performed at Community Center in December 2016 and will play in the Spring Fling concert on April 20. The Carson City Symphony presents a concert, "Words into Music," on Sunday, April 23, 2017, at the Carson City Community Center at 4:00 p.m. The concert features violinist Stephanie Sant'Ambrogio performing "Poeme for Violin and Orchestra" by Earnest Chausson and Hector Berlioz' "Reverie and Caprice." Rita Geil will read poetry to accompany these pieces. The concert will also feature the orchestral premiere of Steven Rosenhaus' "JFK: A Profile." The work features the words of President John F. Kennedy, which will be narrated by Rita Geil. Selected parts of "The Three-cornered Hat," by Manuel de Falla will open the concert. The Carson City Symphony Chorus, under the direction of Michael Langham, will also perform "Alleluia" by Eric Whitacre. Whitacre is an internationally respected choral composer who grew up and studied in western Nevada. There will be a concert preview at 3:15 p.m. in the Sierra Room. The preview is sponsored, in part, by Nevada Humanities and the National Endowment for the Humanities. Tickets are $15 general admission; $12 for seniors, students, and Symphony Association members; and free for children age 18 and under. 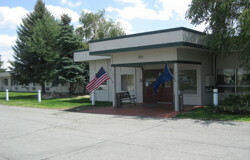 Tickets are available in advance at Carson City Visitors Bureau, 716 N. Carson Street; online; by mail; and at the door. Consort Canzona, a select group of instrumentalists and singers that specializes in early music, will present "A Royal Birthday Celebration" in two concerts in Carson City. The first will be Friday, May 12, 2017, at 7:00 p.m., at St. Peter's Episcopal Church, 314 N. Division Street. The second will be Saturday, May 13, at 7:00 p.m., at Shepherd of the Sierra Lutheran Church, 3680 Highway 395 (just south of Best Buy). Admission to both concerts is free, donations welcome. The program includes a set of madrigals by Renaissance composers John Farmer, Thomas Ravenscroft, Thomas Tomkins, and John Bennet, and a set of works from the same period for instrumental ensemble performed on recorders, cello, and harpsichord. A highlight of the concert is "Come, Ye Sons of Art," by English Baroque composer Henry Purcell, written for the birthday of Queen Mary II, April 30, 1694. It features the choir, vocal soloists, and instruments, with words by Nahum Tate. 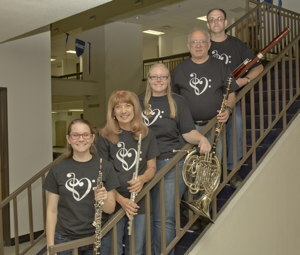 Consort Canzona, a performing group of the Carson City Symphony Association, was founded by Sharon Kientz in 2009 for recorders, cello, and harpsichord. Singers were added in 2011. The group is directed by Gary Schwartz. These concerts are supported in part by a grant from the Nevada Arts Council, a state agency, and the National Endowment for the Arts, a federal agency, and by Carson City Symphony Association memberships and donations. For more information, see CCSymphony.com or call the Symphony at 775-883-4154. Pictured: Consort Canzona in concert December 2016. Media Release - May 30, 2017: Carson City Symphony's Strings in the Summer, directed by Symphony Education Director Sue Jesch and Associate Concertmaster Laura Gibson, gets underway with weekly sessions beginning in June. The program is open to all and includes classes at two levels of music experience. Tuition is free, donations welcome. Introduction to Fiddle and Folk Music is primarily for younger students, and for violinists, violists and cellists of any age who have limited experience. Participants must be able to play a one-octave D scale and read notes within the staff. Sessions will be held on Tuesdays, June 20, June 27, July 11, July 18, and July 25, from 10:00 to 11:00 a.m. at the Studio of Sue Jesch, 357 Fairview Drive, across from Lowe's, above Dog-Eared Books. String Ensemble is for advanced beginner to intermediate violin, viola, cello, and bass players of all ages who want to play fun tunes arranged for string orchestra. Sessions will be held on Wednesdays, June 14, June 21, July 12, July 19, and July 26, from 10:00 to 11:00 a.m. at St. Paul's Lutheran Family Church, 1201 N. Saliman Road. Participants in Strings in the Summer will be invited to perform in a free public concert on Thursday, July 27, 10:30 a.m., at Carson Mall. 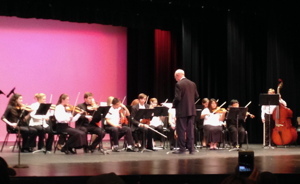 Strings in the Summer is supported, in part, by public funds through grants from the Nevada Arts Council, Partnership Carson City, and by private donations. For more information, see CCSymphony.com or call Sue Jesch at 775-450-5584. Pictured above: Strings in the Summer in performance in 2016. Because of the strong possibility of rain this afternoon, the Pops Party Concert is being moved to the North Room at the Governor's Mansion. Occupancy is limited, but "the show must go on." I am writing this on the night before the concert. First, I want to note that the concert starts at 4:30 this year, not at 3:00 as in past years. Unfortunately, the banner over Carson St. still says 3:00, and we apologize for the mistake. However, we will have pre-concert entertainment at 3:30 by Triple Treble Flute Trio. The weather reports suggest the possibility of rain, although less so than indicated this morning (Saturday). In case of rain, the concert will be at the Governor's Mansion, but inside the North Room, which is just north side of the Governor's Mansion itself. Occupancy of the room is limited, but it does provide a dry location in case it does rain. We hope you will turn out and enjoy a great show! I think you will appreciate all the hard work that went into making this concert possible. The beautiful back lawn of the Governor's Mansion is the site of the Carson City Symphony's thirty-second annual Pops Party Concert on Sunday, June 11, 2017, at 4:30 p.m. The program features the Carson City Symphony, Carson City Symphony Chorus, and guest singer CeCe Gable. Grounds open and pre-concert entertainment begins at 3:00 p.m. or so. CeCe Gable will be making her 3rd appearance with the Symphony. She also appeared on the 2007 and 2009 Pops Party Concerts. 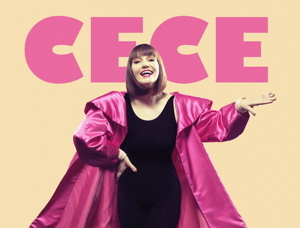 To quote Connie McMullen in Generation4Boomers.com, "CeCe has developed a true following as one of the premiere singers of our region. With a focus on jazz standards, it is not uncommon to catch her performing at a local venue or casino showroom, engaging audiences of all ages with her personality and vocal appeal. In short - CeCe is widely entertaining!" Seating is on the lawn; the audience is welcome to bring blankets or lawn chairs (some chairs will be provided) and food. Snacks, beverages, and raffle tickets will be on sale before and during the concert. This free concert is supported, in part, with public funding through the Nevada Arts Council and the National Endowment for the Arts. For rain location, call the Symphony at 775-883-4154 or check the web site: CCSymphony.com. The Not Quite Ready for Carnegie Hall Players perform at the Carson City Senior Center, 911 Beverly Drive, Carson City, on Thursday, June 15, 2017, at 10:30 a.m. They will perform before and during lunch. 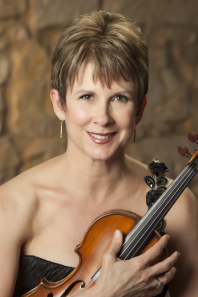 The "Not Quite Ready for Carnegie Hall Players" is the creation of Carson City Symphony Education Director and former Concertmaster Sue Jesch. Each week, a group of adult musicians, some of them beginners, get together to play music at the Carson City Senior Center. The group meets Thursdays at 10:00 a.m. The primary purpose of this is to give adult musicians who may not be ready for a regular adult orchestra, such as the Carson City Symphony, an opportunity to play and enjoy easy music. The Not Quite Ready for Carnegie Hall Players perform at the Sierra Place Senior Living, 1111 W. College Parkway, Carson City, on Thursday, June 22, 2017, at 10:30 a.m. The event is free and open to the public. Saturday, June 24, 2017, at 6 p.m.
Carson City Symphony Association is presenting its Annual Membership Meeting and End of the Fiscal Year Party on Saturday, June 24, 2017, at 6 p.m., at the home of Norma Summey, 973 Parkview Dr., Carson City. The meeting is open to Association members; musicians from the Symphony, Chamber Singers & Symphony Chorus, Consort Canzona, Strings in the Schools, and Not Quite Ready for Carnegie Hall Players (NQR); volunteers; and guests. Main dish and beverages will be provided. Please bring a side dish, salad, or dessert to share. Call 775-883-4154 or email ehbugli@aol.com for reservations and directions. 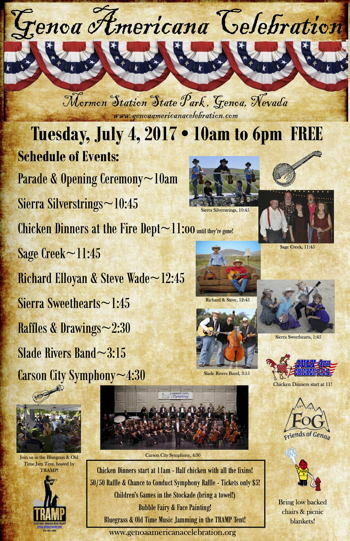 Come hear the Carson City Symphony perform on Tuesday, July 4, 2017, at Mormon Station State Park at 4:30 p.m. It is part of the Genoa Americana Celebration. The Symphony will be joined by jazz vocalist CeCe Gable and the Carson City Symphony Chorus. The GAC starts at 10:00 a.m. with a Children & Pet Parade. Starting at 10:45 a.m. other groups perform prior to the Symphony performance, including Sierra Silverstrings, Sage Creek, Richard Elloyan & Steve Wade, Sierra Sweethearts, and Slade Rivers Band. All entertainment is free. Chicken Dinners start being served at 11:00 a.m., and they include half a chicken will all the fixins. Tickets will be sold for a 50/50 raffle and a chance to conduct the Symphony. Children's Games will be in the stockade area. For more information, go to www.genoaamericanacelebration.org. The Carson City Symphony Association presents an elegant evening of music, wine, and dessert on Sunday, July 9, 2017, at 7:00 p.m. at a private home, 2662 Danielle Drive in Carson City. The house recital features Latin Tres - Vanessa Porter, violin; Marina Rosznitovsky Oster, harp; and Alejandro Pinz�n, bandoneon - performing new arrangements of traditional Latin American music. Tickets are $25 and are available online at CCSymphony.com (see link below), at the Nevada Day office in the Carson City Visitors Bureau (716 N. Carson St.), or by calling the Symphony at 775-883-4154 for reservations. Pinz�n said, "The violin and the harp have strong ties to Classical Western music and are seen together in recitals, as part of big orchestras, and in Latin American music. On the other hand, the bandoneon (an accordion-like instrument), the emblematic instrument of Argentine tango, is seldom seen outside of that environment. We decided to put together this rarely seen ensemble. The audience will get to appreciate the beauty of the instruments and the music in a unique and novel way." A versatile musician, Vanessa Porter combines years of formal classical training, charisma, and artistic fluidity, transitioning from Classical and folk repertoires to fiddling and improvisation. Oster has performed with professional orchestras in the U.S., South America, Europe, and the Middle East and teaches harp at the University of Nevada, Reno. Pinz�n loves to share his passion for Argentine tango with the world. A tango dancer, bandoneon and violin player, conductor, and photographer, he first encountered tango in the early 2000s and says his addiction to it keeps growing! This recital is funded in part by a grant from the Nevada Arts Council and the National Endowment for the Arts. Tickets are available: Click HERE to order tickets. Photo, above: Vanessa Porter, violin; Alejandro Pinz�n, bandoneon; and Marina Oster, harp, will perform a house recital on July 9 in Carson City.